Quarter values for some of your old coins may surprise you. High silver prices make every silver quarter minted 1964 and before worth at least $2.82 each. That is just the starting value. Many rare dates, mint marks and varieties are found throughout the different quarter series. Washington quarter values from the 1930's can fetch $12. The older Standing Liberty series is very popular with collectors. Many dates are scarce and in demand for $22 or $30 each. If you have any old silver quarters in well preserved condition the value quickly rises to $45 or more. Even older, the Barber series has similar high demand coins. In the eye pleasing "Fine" condition many dates are worth $35 to $45 or more. Further back in time are the Seated Liberty and earlier still the Bust Quarters. Now, every coin is worth $25 to $35 or more. Yes, these are very valuable. Dealers and collectors avidly seek rare dates and high grade examples. At auction, certain rare quarter values reach thousands of dollars. How to grade your coins. Images to compare your coins and assign a grade. Values are listed for each series, all dates and mint marks. How to identify rare varieties, where to find and easily locate mint marks. With a starting price of $49 and quickly rising into the thousands. All are rare and collectible. Avidly sought by dealers to meet the demand of collectors. Compare your coins to the grading images and value charts. A long running series with many rare dates and varieties. Because of the large differences in value, grading is important. Discover how much they are worth, compare your old quarters to the grading images and value chart listing all the dates and mint marks. Collectors are adding to their collections and increasing the demand. Your old quarter is worth much more today. From $4.63 each to many hundreds for the rare dates and mint marks. Check your coins using the grading images and coin values chart. Everyone agrees it is a beautiful coin. Easily one of the most popular coins to collect. Discover the value that strong demand has placed on your coins. Grading images to evaluate their condition and price chart listing all dates, mint marks and varieties. Their value is tied closely to the price of silver. However, a few rare dates and mint marks stand out, if found in high condition. Compare you coins to the grading images and separate then by condition. Follow your coin's value on the silver charts, and check for rare dates and mint marks. The condition of your old quarters is equality important. For example, a Barber quarter is easy to identify. Rare dates and mint marks are obvious when listed. However, the third factor, condition, has an equal impact on value but is more subtle and difficult to determine. In your group of coins you are more likely to find a valuable high grade coin than a rare date. All series include a section on how to grade your quarters. The charts summarize the minimum values for the common date coins found in each series. Notice the rapid rise as the grade improves. Why does a coin become valuable as a collectible? The answer: It depends on certain - Dates - Mintmarks - Rare Varieties - and the hardest to get right... Condition. Follow the videos with close-up views highlighting the subtle changes from one "grade" of condition to the next. Values within the different series of coins are dependent on condition just as importantly as dates and mintmarks. It is possible to detect the difference of these finer points of value. Quarter values are determined by date, mintmark and condition-grade of your coin. Standards for grades are identified using video, images and descriptions. Areas of the coin and amounts of wear are examined to assign a grade. 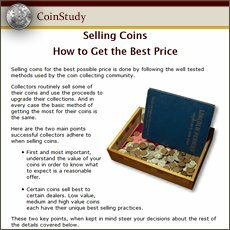 Do you have more old coins and need their values? Quarter values begin here, for your other coins, visit the home page. Coin Values Discovery... finds Quarter Values and... All old US coin values. It is an excellent index with images and text links to all coin series, from Cents to Gold. Value charts, grading images and descriptions uncover how much your box of old coins is worth. Value is the foundation to the Selling of your coins process. Always begin with an accurate value before selling your old coins.